A press release for the Japanese film festival, “Nippon Connection” which we have been introducing in this magazine since 2014, was sent this year also. This is the largest Japanese film festival outside of Japan. A film, “Oyster Factory” directed by Kazuhiro Soda, introduced in this magazine, will be played in the program of Japan Visions this year. There is no need to emphasize how rich the Japanese film culture is. More than 55 % of the played films in the movie theaters in Japan are Japanese films produced in Japan. Please visit the film festival in Frankfurt to witness how high the quality of Japanese film is. 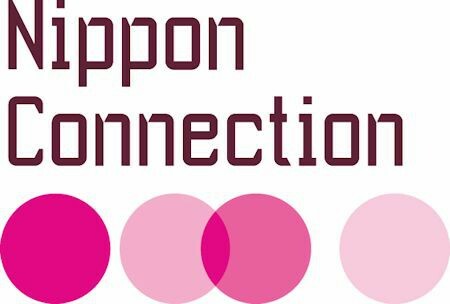 The 16th Nippon Connection Film Festival will take place from the 24th to the 29th of May, 2016. Over 100 Japanese films will be shown and numerous directors, actors and artists will participate from Japan. The main premises are Kunstlerhaus Mousonturm and Theater Willy Praml in der Naxoshalle. The 2nd Nippon Honor Award has the cooperation and support from Lufthansa. Kiyoshi Kurosawa, a fixture in the Japanese film scene is the recipient of the Award of this year. Kurosawa is known as a legend of “quiet” horror films with a creeping sense of fear and has a high reputation at various film festivals around the world. “Cure” 1997, “Tokyo Sonata” 2008 and “Creepy itsuwari no rinjin” 2015 will be played during Nippon Connection. Studio Jiburi, the most famous Japanese animated film production company is now taking a break from producing films but many other wonderful animated films from short films to long ones exist in Japan. The Nippon Animation Program will show an excellent selection. Streaming service Netflix started in Japan in 2015. It shows original dramas and the talked-about TV drama “Hibana (Sparks)” was selected to play online. “Hibana”, which general superintendent is Ryuichi Hiroki, is a story about complicated friendship of two comedians. The original is a novel written by Naoki Matayoshi, a comedian, who received the 153rd Akutagawa Award last year and also was nominated for the Mishima Award. The whole ten series of “Hibana” will be played as an International Premier in Nippon Connection. The director Shinji Kuma, two of the leading performers Kento Hayashi and Kazuki Namioka will join as guests. It has been five years since the East Japan Disaster occurred. The focus of this film festival is how to face the memory and pain brought by the Disaster. The film makers have been producing many films concerned with the Disaster. The issue is how we can describe the disaster and the devastated field in a real sense. Many Japanese film stars will participate in the program Nippon Cinema and they will introduce their own works to the audience. The Nippon Cinema Award will be given to the best film. The Audience Award will be endowed to the receiver with 2000 Euros contributed by Metzler Bank. Nippon Visions proves that low-budgeted films could also be wonderful. Many of them are good at describing, for instance, a world behind the big city’s brightness. The Nippon Visions Judge Award will be given to the best long film this year. Subtitle production rights will be given as a prize by Japan Film Translation Academy. The Nippon Visions Audience Award endowed with 1,000 Euros will be awarded for the third time to the selected film by popularity vote. Ghost and Paranormal. 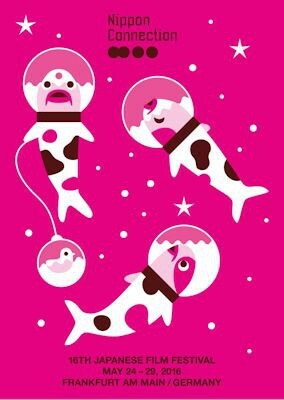 That’s the major theme of Nippon Retro this year. This program entitled “Ghost- Japanese Scary Story” will play 9 scary/horror films from the ‘40s to the ’60s in the period from the 27th to the 29th of May at German Film Museum in Frankfurt. The enjoyment of Nippon Connection is not only the films. There will be a Nippon Culture Program which provides occasions to experience Japanese cuisine, music and culture in addition to approximately 100 long and short films. Food and film go together. The famous ramen noodle shop “Muku” in Frankfurt will open during the film festival. You can enjoy delicious ramen of Japan from the 26th to the 28th of May. 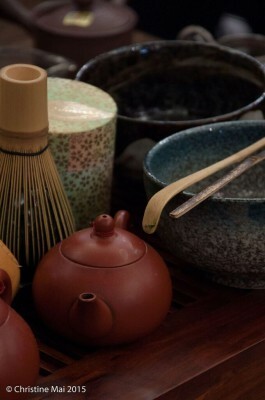 There will also be a workshop for Manga, Japanese martial art, cooking and classical Sado –the way of tea. Rakugo performance, a traditional talk show of humorous stories will also be shown this year. Going along with the theme of Retrospective of this year, a spooky story for children will be revived by an actor Yuki Iwamoto on the 28th of May. In addition, face painting trial of Kabuki performers can be enjoyed. Kamishibai, picture story performance which used to be taken places by Kamishibai-man on the street is also planned. 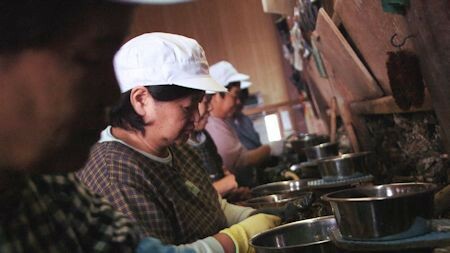 The Japanese Film Festival Nippon Connection is organized and run on a voluntary basis by a team of 70 members of the non-profit Nippon Connection Association. Its patrons are Peter Feldmann, Mayor of the City of Frankfurt am Main, and Takeshi Kamiyama, Consul General of Japan in Frankfurt am Main. Premises: Festival Center=Kunstlerhaus Mousonturm and Theater Willy Praml in der Naxoshalle.